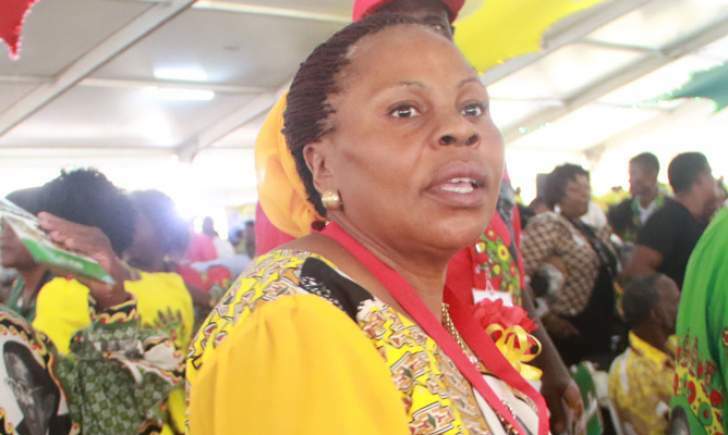 Information, Publicity and Broadcasting Services Minister Monica Mutsvangwa has thanked President Mnangagwa for initiating development projects in Marange. Minister, who is also a Senator for the area, said this while giving vote of thanks following the commissioning of the Zimbabwe Consolidated Diamond Company conglomerate plant in Chiadzwa. "The President has talked about the Second Republic being about servant leadership and he has shown through his actions that he is a servant leader." Minister Mutsvangwa said when President Mnangagwa took over leadership of the country last year he immediately gave $5 million to the Marange Community Share Ownership Scheme to show his commitment to the development of the area. "You have uplifted the livelihoods of people through your programmes here," she said. She said Marange area was drought-prone and must benefit from its resources. "We have poor soils here and always have poor harvests but God gave us a blessing in these diamonds. They should uplift livelihoods of people in this area," said Minister Mutsvangwa.